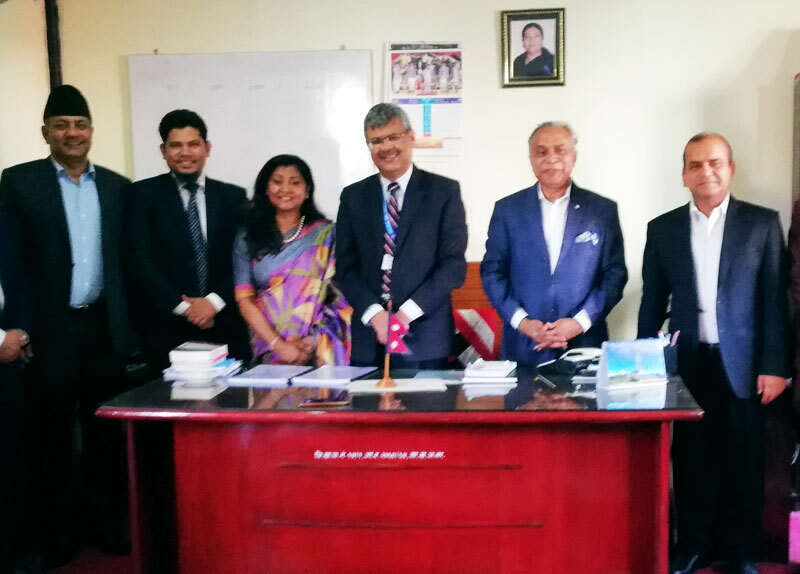 Luna Shamsuddoha, chairman of Dohatec New Media, and Madhu Prasad Regmi, secretary of the Office of the Prime Minister of Nepal, are seen at the signing of a contract for Operation and Maintenance Support for National Electronic Government Procurement (e-GP) System of Nepal. Dohatec will provide technological solutions to the government of Nepal to operate and maintain its electronic procurement systems. Electronic Government Procurement or EGP is a digital process to manage government’s purchase and sale of supplies, works, and services through networking systems. Dohatec New Media will maintain the operations of the e-GP system of government of Nepal.